The City of West Hollywood will celebrate National Poetry Month in April with a variety of events and exhibitions honoring poets and poetry. Throughout April, the city will honor living poets by featuring selections of their poetry on street pole banners along Santa Monica Boulevard. Currently there are 36 poets honored, and each year, the City of West Hollywood’s poet laureate selects two additional poets to honor. This year’s honorees are Garrett Hongo and Robin Coste Lewis. 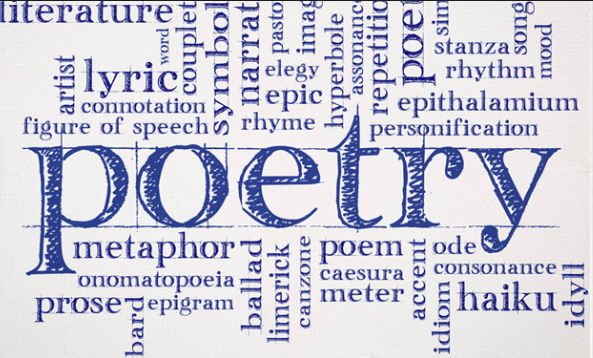 On April 1, the City Council will issue a commemorative National Poetry Month proclamation, which will be received by City Poet Laureate Charles Flowers. The presentation will take place at the City Council Chambers, located at 625 N. San Vicente Blvd., at 6:30 p.m.
Blanco is the youngest and the only openly gay and Latino poet to have read at a presidential inauguration. Dower, who has been a West Hollywood resident for more than 30 years, was the city’s second poet laureate and has published four poetry collections. Following the conversation, there will be a book-signing with books available for sale by Book Soup, and a reception hosted by the Friends of the West Hollywood Library. Admission is free. For more information and to RSVP go to www.weho.org/wehoreads. — On April 30 at 7 p.m., also as part of the city’s WeHo Reads series, there will be a poetry reading entitled Lingua Franca at the City Council Chambers. Inspired by Adrienne Rich’s “Dream of a Common Language,” Charles Flowers has curated a reading of poems by poets from Belgium, India, Iran and Poland, among other countries. The event features poets Kazim Ali, Laure-Anne Bosselaar, Elena Karina Byrne, Blas Falconer, Piotr Florczyck and Vandana Khanna. Admission is free. Free parking is available in the adjacent five-story structure with validation at the event. A small reception will follow the event. Books by the poets will also be available for purchase. For more information and to RSVP go to www.weho.org/wehoreads. — Also on April 30 at 7 p.m., in the West Hollywood Library Community Meeting Room, the monthly Lambda Lit Book Club will read and discuss “Midnight in a Perfect World” by Collin Kelley. The book club is moderated by Steven Reigns, the inaugural city poet laureate. The West Hollywood Library is located at 625 N. San Vicente Blvd. Admission is free. More information can be found online www.lambdaliterary.org/book-clubs/lambda-lit-book-club. With the support of the city’s Arts Division, the Greenway Arts Alliance will present the annual L.A. Get Down Festival on Fridays and Saturdays through the month of April. The festival is a celebration of hip hop and spoken word, presented in association with Da Poetry Lounge. Most events are $10. Tickets and more information can be found online http://greenwaycourttheatre.org/lagetdown2019. West Hollywood began its City Poet Laureate program in 2014, with each poet serving for two years. The city poet laureate serves as an ambassador of West Hollywood’s literary culture and leads the promotion of poetry in the city, including its annual celebration of National Poetry Month. The city’s current poet laureate, Charles Flowers, has lived in West Hollywood since 2010. He graduated Phi Beta Kappa from Vanderbilt University, where he took his first poetry workshop with Mark Jarman and won the Academy of American Poets College Prize. He later worked with Garrett Hongo to receive his MFA in Poetry from the University of Oregon. His poems have appeared in Puerto Del Sol, Barrow Street, Indiana Review and Assaracus. He was the founder and editor of Bloom, a journal for LGBT poetry, prose, and art, which Edmund White called “the most exciting new queer literary publication to emerge in years.” Over the course of ten issues, Bloom published such poets as Adrienne Rich, Reginald Shepherd, Eileen Myles, Rafael Campo, Minnie Bruce Pratt, Mark Doty and more than 150 other poets. Flowers has served as associate director of the Academy of American Poets, executive director of the Lambda Literary Foundation, deputy development director at the ACLU of Southern California, and most recently as deputy director of Arts for LA, the regional arts advocacy organization. He lives in West Hollywood with his husband Konstantine and two literary dogs, Mr. Darcy and Ariel.